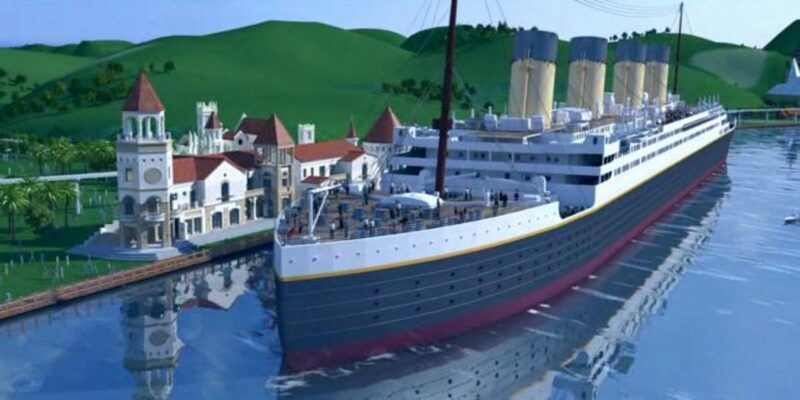 Would you sail on Titanic 2? Jason Ponic works in the exciting world of Hollywood film and television by day and writes by night. 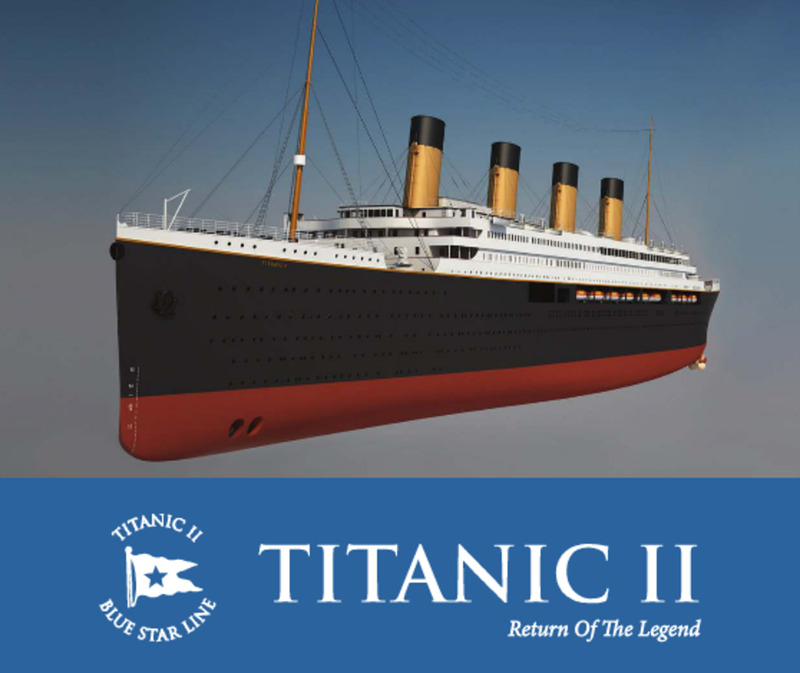 Blue Star Line's rendering of Titanic II. Yes they are! Since the sinking of the RMS Titanic over 100 years ago on April 15, 1912, the question has popped up every decade or so since, Should the Titanic be rebuilt? Shortly after the centennial of the disaster, that question was answered unexpectedly by an Australian Billionaire, "Yes it will." 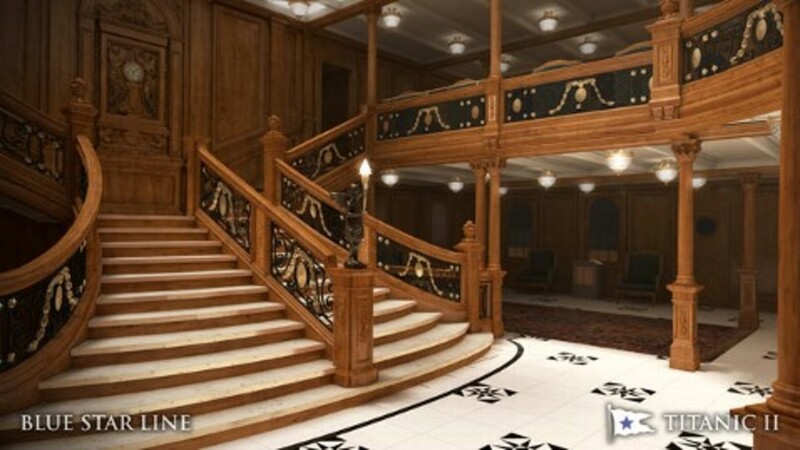 Titanic II will sail the seas as a modernized reproduction of the doomed liner. Construction was originally set to begin in 2013 and its maiden voyage scheduled for 2016. Believe it or not, Clive Palmer's plan to rebuilt the ship is nothing new. Over the last 100 years, there have been dozens of serious attempts at rebuilding the Titanic or her sister ship Olympic. Titles of these projects have been labeled everything from "Replica Titanic", Olympic III, Titanic 2 or Gigantic. These ambitions have only grown with intensity since the release of the 1997 blockbuster movie and again with the centennial of the sinking in 2012. 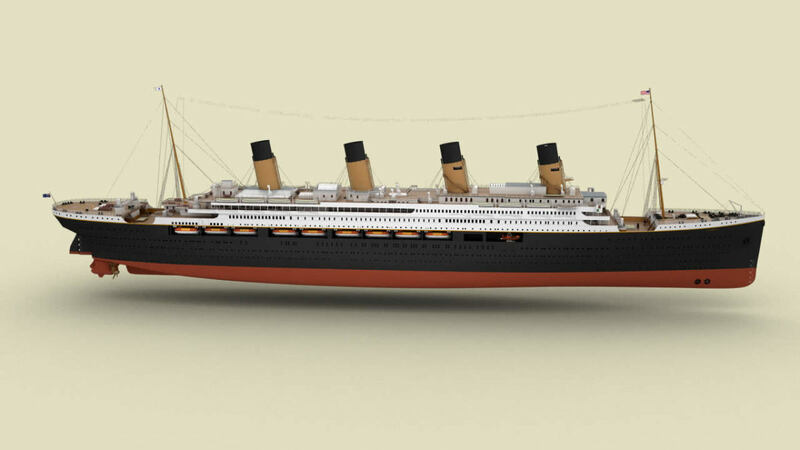 Even Harland and Wolff, the original builders of the Titanic said that they've been overwhelmed with calls asking about the odds of a Titanic II. One could say it's sparked some kind of replica race, who can rebuilt Titanic first? Here's a look at the most notable attempts to rebuild the most famous ship of all time. 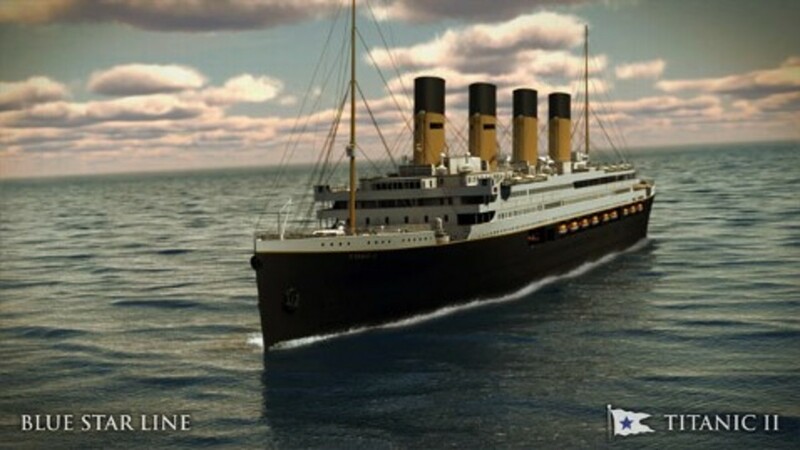 Would you sail on Titanic II? Popular Mechanics' Titanic 2 Evaluation. In 1998, Popular Mechanics released an article addressing the feasibility of rebuilding the luxury liner. Their findings addressed features that would have to be changed should a replica be built. A welded hull not riveted. A Bulbous Bow for greater fuel efficiency. Steering and propulsion redesign including bow thrusters and stabilizers. Diesel electric generation and propulsion. 1997. Eager to capitalize on James Cameron's runaway success of a movie, there were not one, but two attempts to build a Titanic on the Vegas Strip. Casino developer Bob Stupak (Stratosphere) announced his latest project; a hotel and casino with a Titanic theme. His vision called for a replica of the ship, nearly twice the size as the original vessel to be built on the Las Vegas Strip. Hundreds of rooms, multiple casinos, sounded like a developer's dream. Little did Stupak know, but a rival developer was also attempting to capitalize on Cameron's Titanic mania with his own Titanic Hotel and Casino. This one would have had a 50% scale replica of the ship under the shadow of several huge iceberg shaped towers. Both projects duked it out in court for the trademark rights of the name and theme. Both were ultimately rejected by the Las Vegas City Council as distasteful sensationalizing of the disaster. Stupak's project quickly disappeared into the dust bin of failed Vegas projects. The rival, Titanic Resorts, still actively maintains trademarks on the name 'Titanic Hotel & Casino' and other related titles. Titled 'Replica Titanic', this project was launched in 2000 by South American millionaire Sarel Gous. His dream: To rebuilt the luxury liner as the world's largest cruise liner. 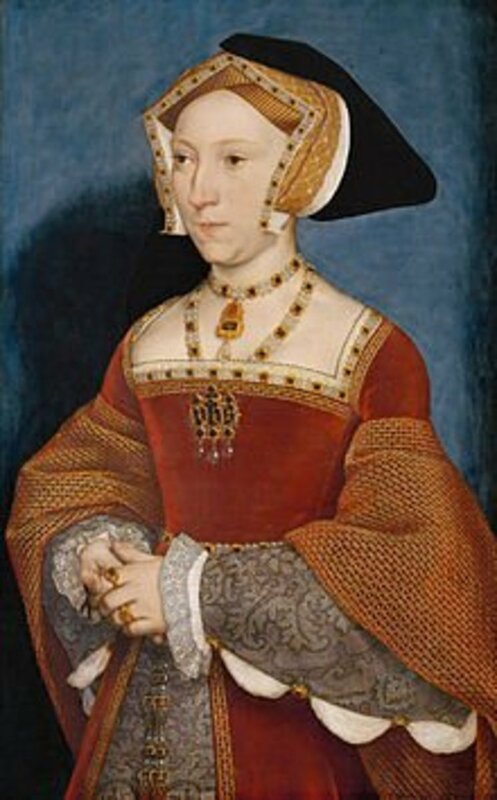 She would by physically identical in her appearance but would in fact be considerably larger than the original. Gous made significant progress on this project. In November 2000, financing was secured and construction was supposed to begin nine months later. 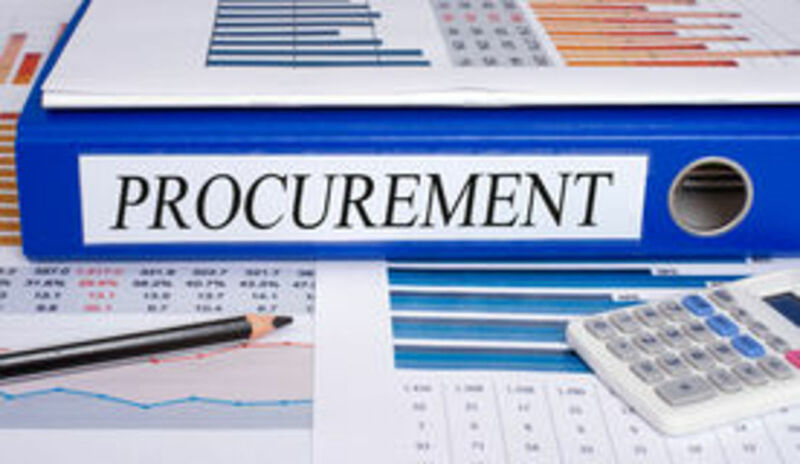 Almost from the start, regulation problems stunted the authenticity of the project. 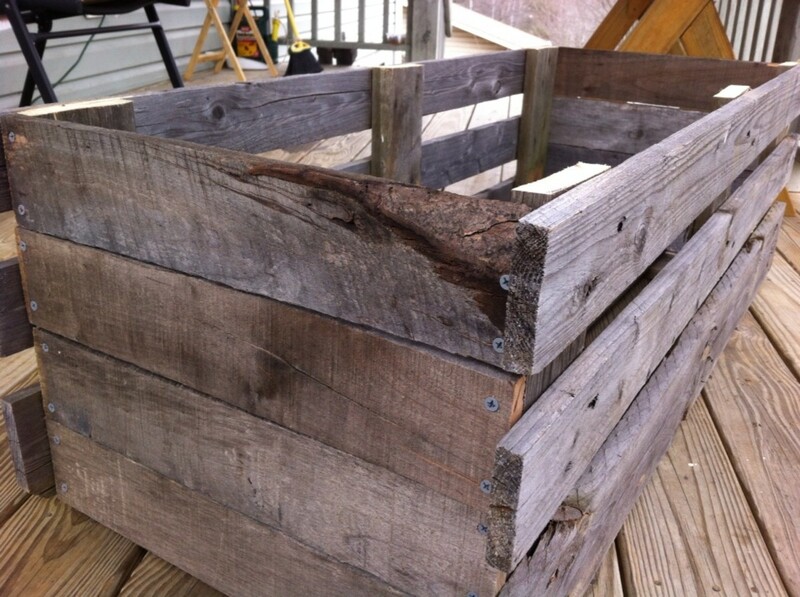 Modern regulations have since outlawed extensive wood paneling in ships and lifeboat laws have seen multiple changes since Titanic's day rendering the original Boat Deck useless. Negative public support also sealed the project's fate, including a statement issued by then-living Titanic survivor Millvina Dean, condemning the Titanic II project as disrespectful to those who died. The project was officially scrapped in 2006. 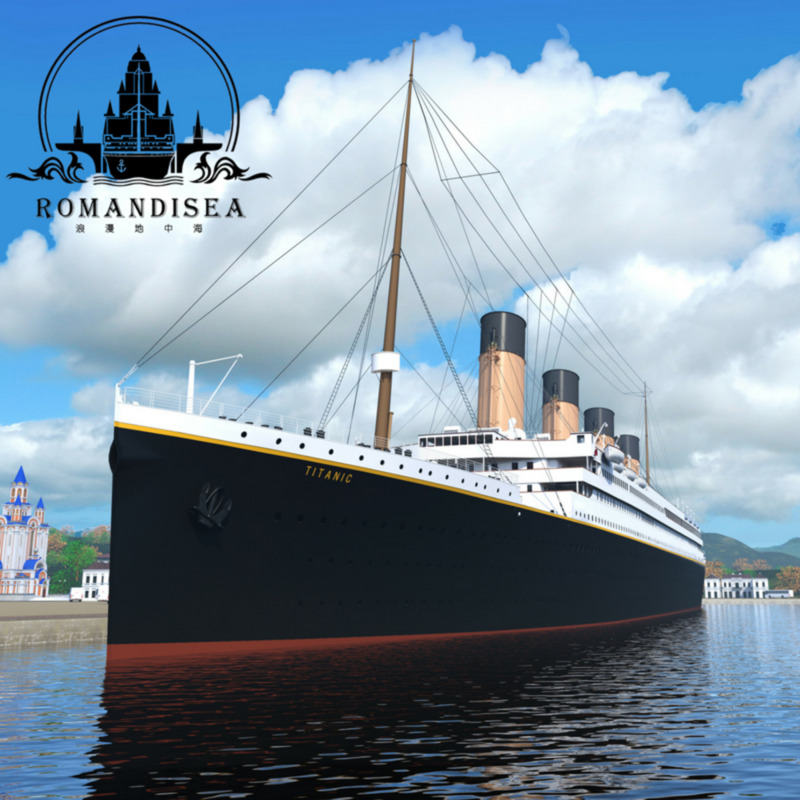 Announced on the centennial of the original's sinking, the Australian billionaire has relaunched the dream to rebuilt Titanic. Just like projects past, public scrutiny was harsh. The Cunard Line, which merged with the original Titanic's White Star Line in the 1930s, particularly slammed the project. They considered the project disrespectful to those who perished more than a century ago. Also opposing the building of Titanic II are the decedents of the original Titanic Survivors. 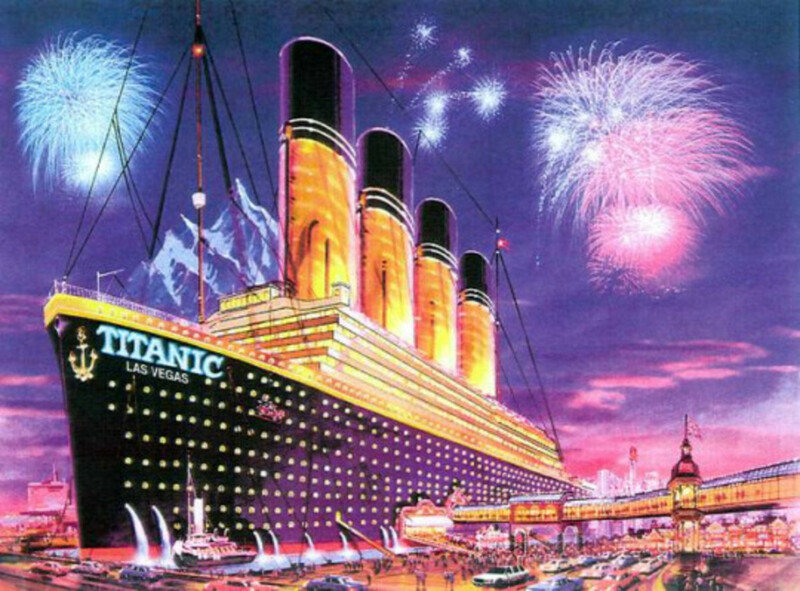 Proposed Ticket Pricing: Not only did Titanic II intend to recreate the original's grand opulence, but sailing on her would also pay homage to the old days of passenger trade. While prices were never officially set, Blue Star Line did announce in its 2013 press release that "1st Class" tickets could cost as much as $1 Million per person. Ironically that's even more than an original Titanic 1st ticket would cost today. 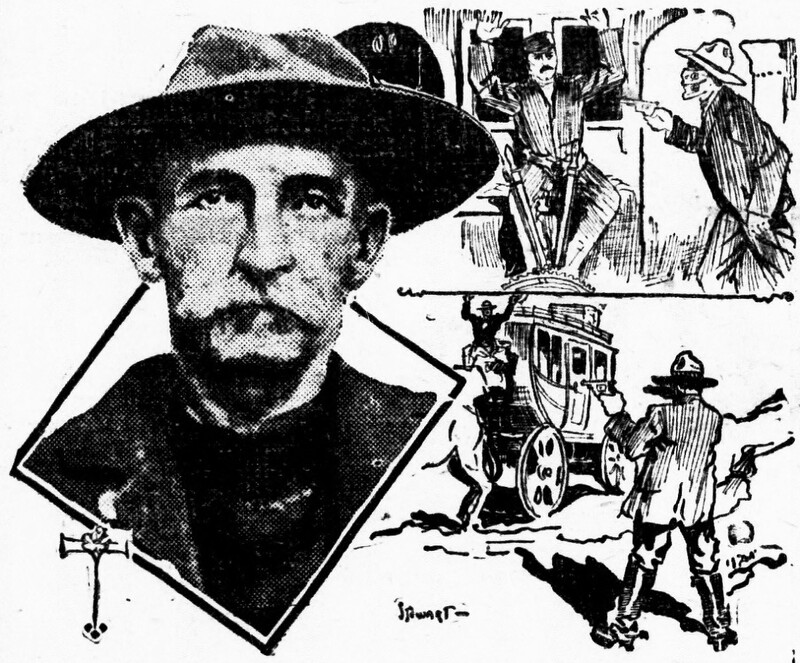 When adjusted for inflation, an original 1st Class ticket would cost approximately $60,000. A South African millionaire is to present his plans to build a new version of the ill-fated Titanic luxury liner in Belfast on Friday. Model of Titanic II cruise ship goes in for testing. A wooden model of the Titanic II - a replica of the tragic 1912 ship - was put into water for testing in Germany, it has been revealed. Mixed Views on the Building of Titanic II. 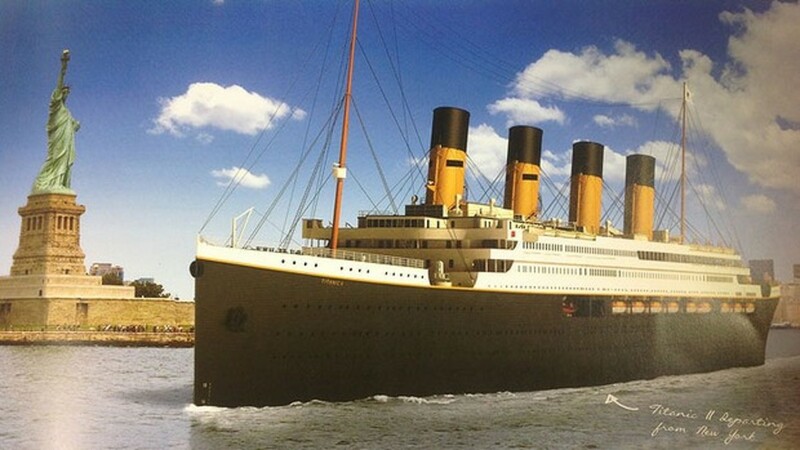 In a statement released by shipbuilder CSC Jinling, construction of Titanic II is slated to begin in April of 2013. Total building cost of the project was an estimated $500 million. Yet as of 2018, not a single steel plate has been laid. Clive Palmer's businesses have suffered financial collapse and the project is largely considered abandoned. 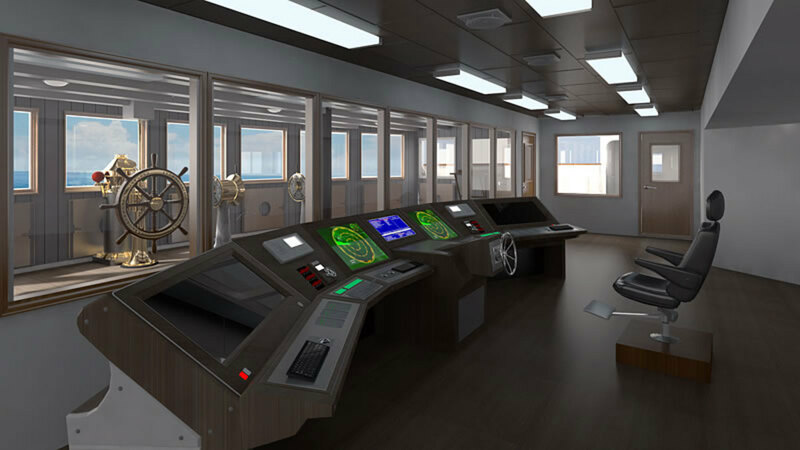 Titanic II's wheelhouse. Note: The recreated telemotor in the now redundant forward wheelhouse. 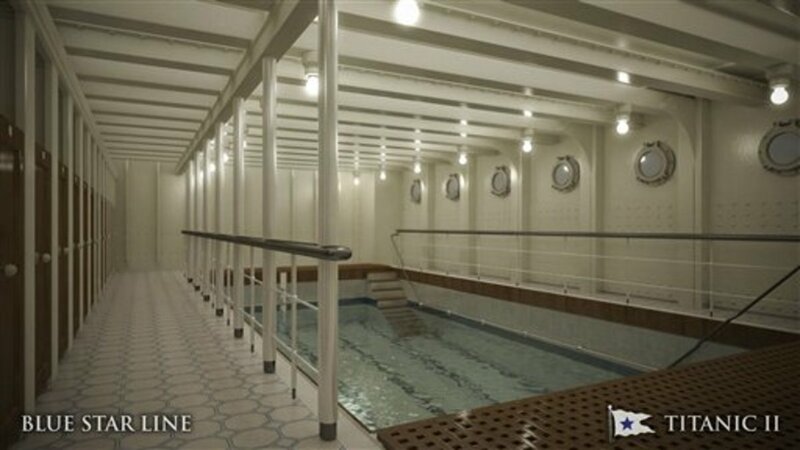 Titanic II's recreated swimming pool. The Chinese have done it! Enter Seven Star Resorts. 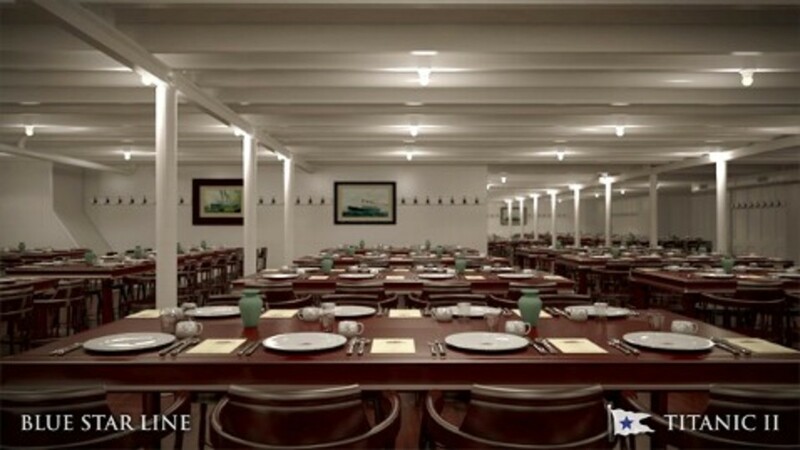 Unlike the latest previous Titanic replica projects, the replica in China will be a stationary attraction not a seaworthy vessel. 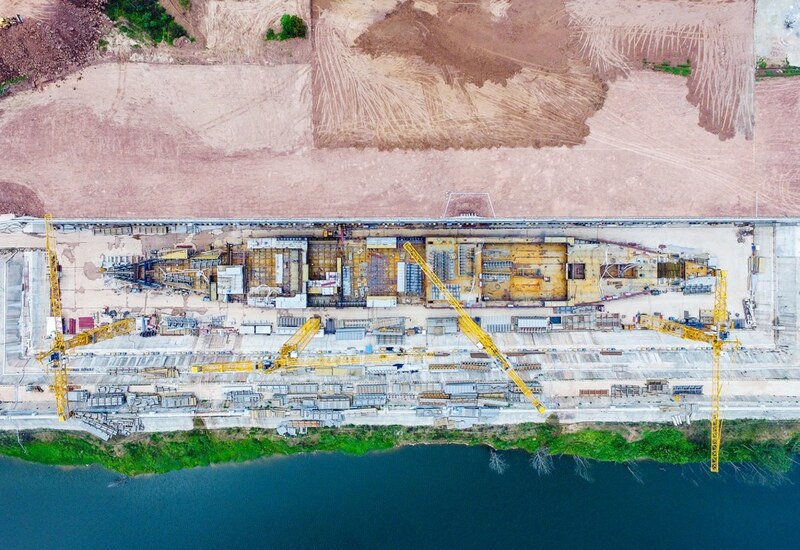 The centerpiece of a large scale tourist and hotel attraction complex in Suining, this vessel is on schedule to be completed in 2018. The company boasts their Titanic to be a 1:1 scale replica. She comes complete with an iceberg collision recreation attraction for entertainment, a permanent collection of Titanic artifacts and interior recreations of all of Titanic's most famous features. 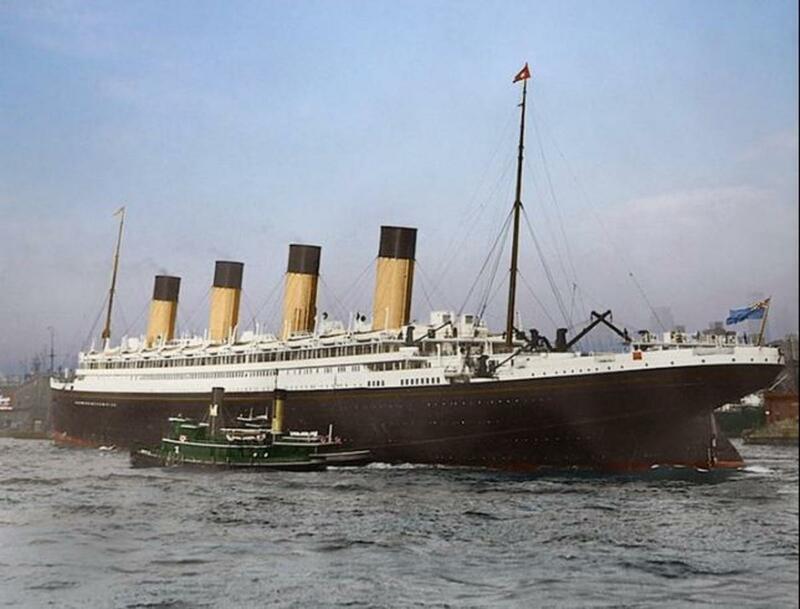 What if Titanic Never Sank? These pictures are AMAZING and take my brtaeh away. Something about the Titanic really captures my heart. Even third class conditions were better then what most of those people were living in back home. Such a remarkable story and crazy how we are all still obsessed 100 years later! I hate the thought of them doing this. I think it is very innapropriate. id love to go on the cruise ship, if it does happen as planned i will definatly be on it. i was actually looking for a site to buy a ticket. hopefully tickets wont be 60 grand, as i just don't see how a 7 day cruise would be worth spending that much. WOW, and original 1st class ticket, equal to today's market would cost $60,000. - And Blue Star Lines has mentioned charging $1m per 1st class ticket in or around 2017 for the repro maiden cruise. I immediately think of the cost to be on the first civilian Space Fight (possible by Virgin Air) - I believe the ticket costs around $1m... I think I will wait until they get a few trips under their belt. Building a new Titanic would be quite interesting, but the owners must have a different attitude from the originals. They should not describe it "unsinkable," because not anything built with human hands is so durable. If it is a "mortal," ship, which I think is not exalting itself above the Almighty and what He would allow, I think I would board it, maybe. The old ghost of memories is hard to shed. Maybe Titanic should continue to rest in peace. I would love to but probably out price the normal person. Only time will tell! Personally I think it would be very exciting to sail on a namesake ship. I've had a passion for the Titanic since childhood. I hope he achieves his dream. And I would love the chance to sail on it, even though it will only be a recreation of the original. Very informative hub. Thank-you for the updated information. It is an interesting question but I believe that I would sail on the replica. 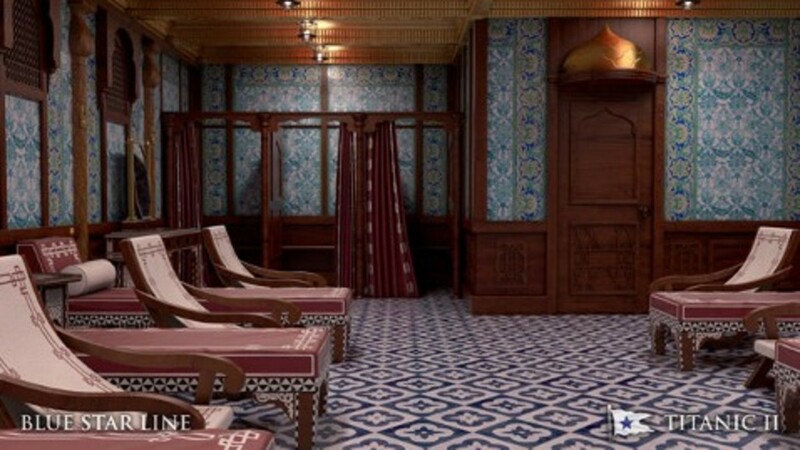 It would be an interesting experience and to get the opportunity to experience "Titanic" ,albeit a replica, would be unique.